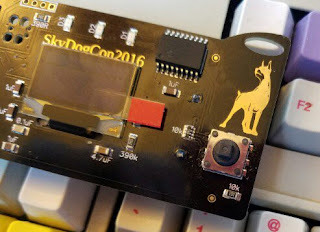 SkyDogCon 2017: TICKETS ON SALE NOW! Tickets are on sale now and by pre-ordering your shirt, you will be guaranteed to get your size when checking in at registration! There is a closing date for this to allow delivery before the CON. If you want to be guaranteed a shirt in your size, the ticket option will close September 30th, 2017! GET YOUR TICKET NOW! ALSO, there are a limited amount of EARLY BIRD TICKETS for sale at a discounted price until September 1, 2017. Take advantage of these tickets while they last.